｢익재난고｣는 고려시대 말기의 대표적인 문신이며 학자인 익재 이제현(益齋 李齊賢, 1287～1367)의 시문집으로 전 10권이다. 이 문집은 저자의 77세 때인 1363년(공민왕 12)에 저자의 차자 이창로(李彰路)와 장손 이보림(李寶林)의 편집으로 경주에서 처음 간행하였으나 현존하지 않는다. 그 후 세종의 명에 따라 1432년에 강원감영(원주)에서 ｢역옹패설｣ 등과 함께 간행하였다. 지정 대상본은 그 중의 2권 1책(권6-7)이다. 이 중간본은 국내에는 이겸로(李謙魯)의 산기문고(山氣文庫)에 일부(권9∼10)가 남아있고, 국외에는 일본 호사분코[蓬左文庫]에 일부가 전한다. 이 판본의 특징은 조선이 개국한 지 40년이 지난 후임에도 고려의 국왕과 元의 천자를 높이기 위한 개행(改行)과 간자(間字)의 방식이 여전히 시행되고 있다는 점이다. 고려본의 문집에서 자주 보이는 행초(行草)가 여전히 혼용되고 있고 같은 자가 반복될 때에 쓰이는 기호인 ‘ 〟’표도 자주 쓰이고 있다. 이러한 특징은 조선전기의 한문학 연구는 물론 당시의 출판문화와 서지학연구의 귀중한 자료가 된다. Ikjae nango (An Incomplete Collection of Ikjae's Manuscripts) is a collection of poems and prose written by Yi Je-hyeon (1287-1367), a distinguished scholar-official of the late Goryeo Dynasty. 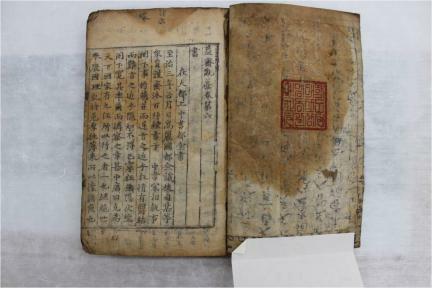 Containing just two out of the ten fascicles in the original collection, this book is notable for its use of strict writing conventions to honor the rulers of Goryeo (918-1392) and Yuan (1271-1368), although it was published many decades after the fall of the two dynasties. The text also exhibits the use of semi-cursive and cursive scripts and the iteration mark (""), characteristic features of Goryeo writings, and thus constitutes an important source of knowledge on printing and bibliography as well as the studies of Chinese literature in early Joseon.